It's no secret that Brownie and I love sandwiches: peanut butter with anything, grilled cheese, BLTs, cookie, ice cream, you get the picture. 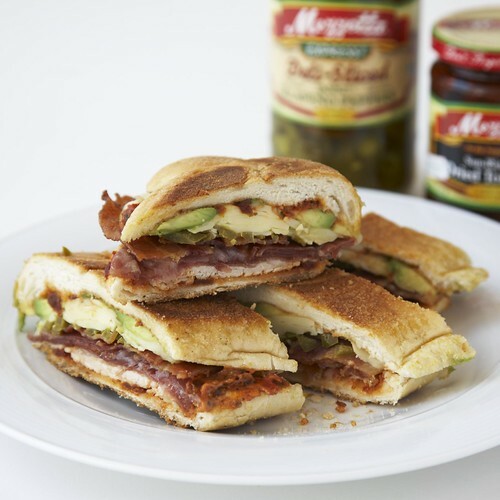 So when I heard that the folks at Mezzetta's were holding their "Make That Sandwich" contest again, I wanted to know all about it. $25,000 cash money is on the line, people. There are two parts to the "Make That Sandwich" contest: the celebrity charity half and the public $25,000 half. Seven celebrity chefs have come up with recipes for the contest and whomever wins will get $10,000 donated to their favorite charity. The sandwiches here are beautiful PR shots of Daisy Martinez's submission (a play on the Cubano) and Adam Perry Lang's submission (a relish topped grilled cheese). To check out all the chefs, their recipes, charities, and to vote, click here. If you think you have an amazing sandwich recipe, one that's worth $25,000, then you NEED to enter the contest. 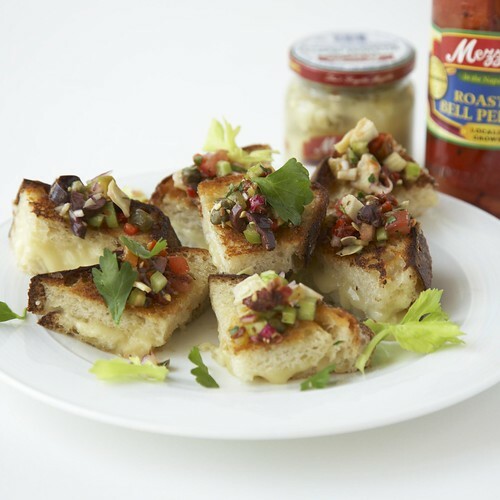 You have to use at least two of the Mezzetta Brands; the ingredients must be readily available; the recipe must be original, not previously published or have won another award; and they will be judging based on creative use of ingredients, taste, ease of preparation, and visual appeal. The official rules can be found here, and the entry form because you really want to win, can be found here. Help Out Madison Square Park by Eating!